So, it appears that the classic, iconic, acclaimed, timeless, captivating, untouchable movie that is Love Jones will now be adapted for the stage. Yes, it’s true. The stage adaptation of the 1997 film will star some of R&B music’s most recognizable artists, including Chrisette Michelle,Â Musiq Soulchild, Marsha Ambrosius, MC Lyte, Dave Hollister, and Raheem Devaughn. 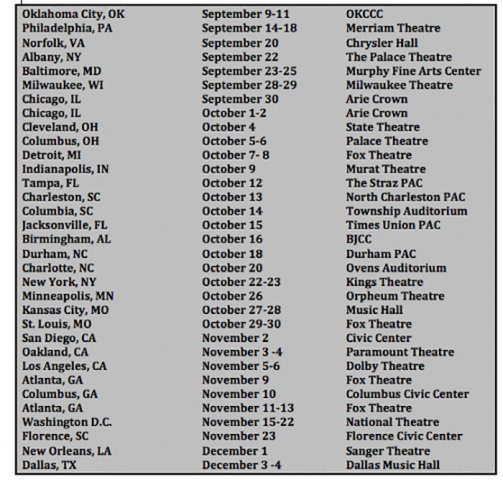 It will begin touring nationally this fall/winter. The show’s producer is Melvin Childs, written by Timothy Allen Smith and directed by Zadia Ife. Theodore Witcher, the original film’s writer and director, also serves as a consulting producer for the play. Like the film, the play is set in Chicago and explores the love, passion, pain, heartbreak, and redemption of the love affair between writer Darius Lovehall and photographer Nina Mosley. 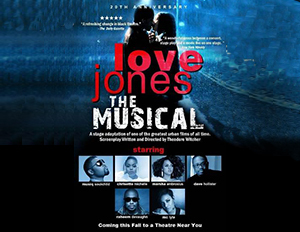 Love Jones The Musical celebrates the 20th anniversary of Withcher’s soulful film, with the stage adaption telling the timeless story through music, as the soundtrack for the film played a vital role in setting the tone, providing context, cultivating the space, and adding to the overall cinematic experience. The play looks to also utilize music as storyteller and will feature chart-topping hits from the play’s stars, along with original songs. For more information visitÂ Love Jones The Musical. Your thoughts?